As my second graduate course in matriculating through the Master’s in Educational Technology (MAET) program at Michigan State University, CEP 811: Adapting Innovative Technologies in Education, comes to an end, I feel incredibly inspired. I must admit, although at times I have a tendency to succumb to a cynical view of the current state of our world, there has never been a more exciting time to be a student, or teacher. 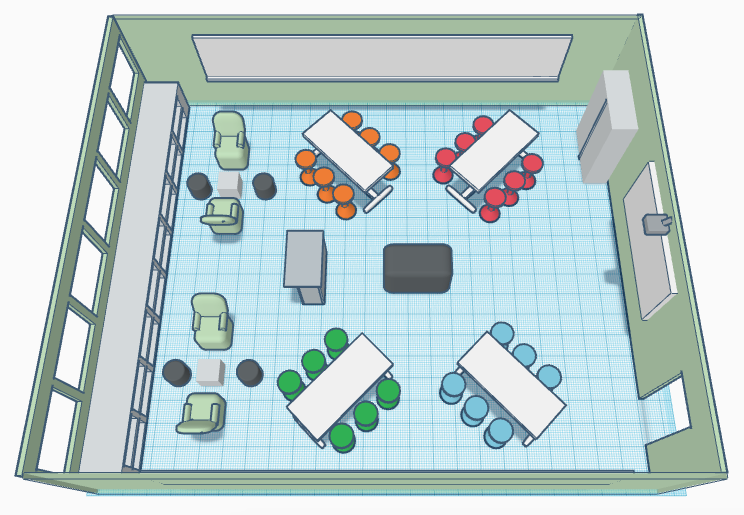 We, as educators, are witnessing classrooms moving away from the traditional 'factory models' and transitioning into fluid learning spaces, encompassing open-collaborative features, welcoming colors, and technology that supports creativity and innovation (OWP/P Architects, VS Furniture, & Bruce Mau Design, 2010). Further, our students are being given opportunities to take on projects that showcase a side of them we have never seen before. Take my Imagineering class for example, where students take on a project of their choosing, create a proposal, set goals, outline a detailed plan, work on achieving their goals for an entire marking period, and ultimately produce something upon completion of the process. Of note, the course was modeled after Google’s 20 percent time, otherwise known as Genius Hour or 20Time in the classroom. The concept, although gaining popularity in educational settings, is still quite unconventional. Nevertheless, there is one crucial factor that has made my own teaching experience significantly more impactful for myself and my students — abolishing limitations. CEP 811 has provided me with a wealth of knowledge on learning through Maker Ed activities, proving that if we restrict our students’ ability to be imaginative, take risks and demonstrate passion for what they are working on in a classroom setting, we are completely missing the mark when it comes to harnessing their full and unique potential. For instance, for the past two years teaching Imagineering, I required my students to work in groups on their projects, even though some of them had stressed their desire to work independently. My thought was that, by urging them to collaborate, it would enhance their teamwork and problem solving skills. While there were some groups that created impressive projects, fully immersing themselves in their work, this was unfortunately far from the norm. Additionally, some of their ideas were too outlandish given our resources and project scope, leading me to sway them in different directions. Wow, was my initial thinking wrong. This marking period, after beginning CEP 811, I decided I would teach the course to fit its true purpose — providing students with full autonomy. I allowed students to work independently if they desired and said “yes” to their ideas, even if I was reluctant. I cannot begin to describe how fulfilling it has been to witness students fully engaged and devoted to their work. The moment we begin limiting students’ ability to think and act creatively is the moment we lose them. If we expect our students to be innovative and critical thinkers, we must give them the necessary space, technology, autonomy and encouragement to do so. As a fifth-year educator, I consider myself fortunate having taught a multitude of subjects, beginning with business courses to currently teaching digital technology and STEM courses. Initially, I received my undergraduate degree in Business, later receiving my teacher certificate; therefore, my general knowledge of pedagogy was minimal. During my first year of teaching, I learned a great deal about the importance of formatively and summatively assessing students — most notably utilizing rubrics as a way to clearly define criteria and expectations to students. For students in a financial literacy class tasked with effectively creating a budget worksheet or analyzing a simulated portfolio of stocks, criteria for assessing were straightforward. Contrarily, when tasking students with creatively solving problems — whether for design challenges, problem-based learning or inquiry-based learning projects — the task of outlining criteria becomes much more expansive. Effectively assessing students’ learning via maker-inspired activities requires a deeper look into what creativity is and how educators evaluate whether or not a student displays such qualities in their work. Ask any given person to define ‘creativity’ and you will receive a wealth of responses along with, perhaps, some perplexed looks. 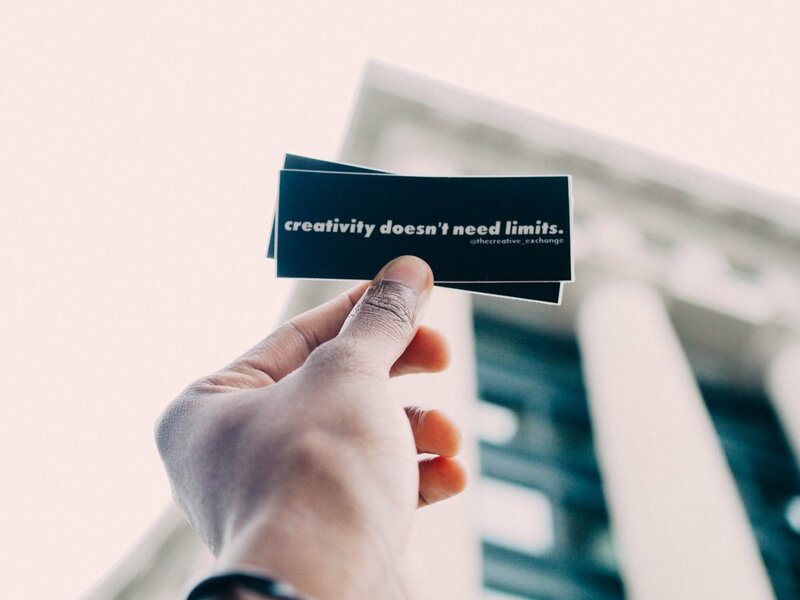 Most of us can spot a creative idea when we see one, however defining the word is surprisingly challenging; the reason being, creativity is not defined by one specific indicator, rather many of which include, imagination, style, cleverness and the ability to impact others (Wiggins, 2012). In full disclosure, upon reading Grant Wiggin’s insights on assessing creativity, I was apprehensive to believing I could effectively and objectively assess that of my own students. Although, by not providing my students with concrete objectives and feedback regarding creativity, both formatively and summatively, my efforts are falling short. Further, if my students understand specifically what creative problem-solving consists of, they can more accurately assess their own creativity skills and adapt when necessary. 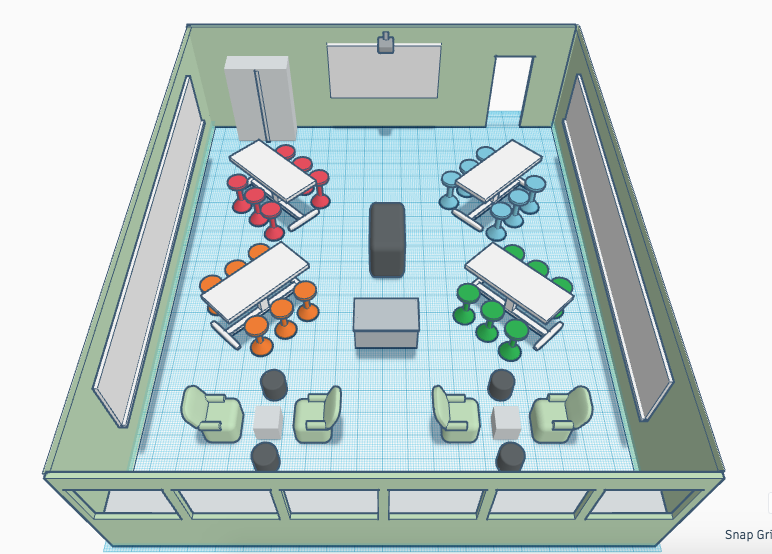 For example, take the classroom design challenge that I recently published, which tasks students with creating an interactive prototype of their ideal classroom using Makey Makey and scratch.mit.edu, and presenting their prototypes to their classmates. By nature, the project urges students to think creatively, yet I plan on using this Creativity & Innovation Rubric designed by the Buck Institute for Education (BIE) to provide students with specific assessment criteria and expectations (2013). The rubric encompassess criteria for the process students will go through, along with their finished product. 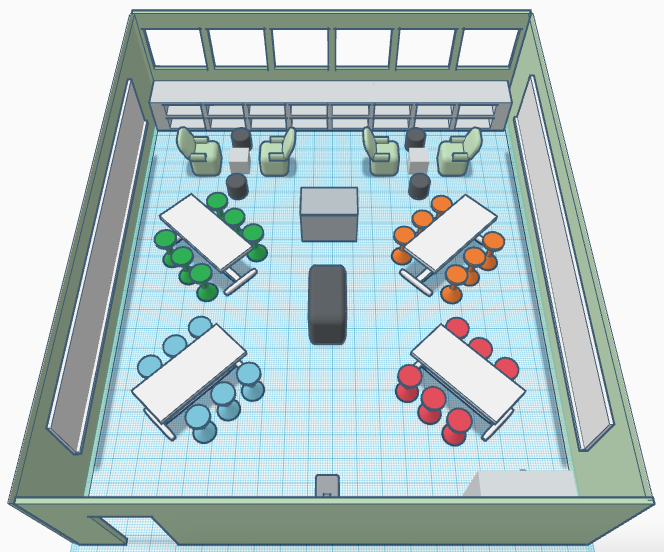 Since the design challenge is proposed for my Introduction to Engineering classes, where we regularly utilize the engineering design process (EDP), it is a sufficient way to hold students accountable for not only going through all steps of the EDP, but emphasizing how creative their efforts are. For their final product, the rubric assesses three qualities: originality, value and style. It is simple and digestible for middle school students. An impactful way to have students analyze their creative thinking and problem-solving skills is to require them to set goals and self-reflect on their progress throughout the project. Paired with reviewing the aforementioned Creativity & Innovation Rubric with students prior to beginning the project, it sets clear expectations. Of course, it is the teacher’s responsibility to actively engage in conversation with students, asking strategic questions that urge them to consistently assess their learning and development. As Grant Wiggins stated, “If rubrics are sending the message that a formulaic response on an uninteresting task is what performance assessment is all about, then we are subverting our mission as teachers” (2012). Beyond assessing reading, writing and arithmetic, we, as educators, must foster a productive and objective way to equip students with the necessary foresight to understand and implement creativity across their work and learning process. As ‘personalized learning’ has become a widely-used buzzword in education (Horn, 2017), it is crucial to understand its implications on learning experiences for students and the future of K-12 educational institutions. On the surface, it seems unquestionably necessary to tailor instruction to the needs of individual students, but is it possible to personalize student learning in a manner that becomes unduly data-driven and, in some cases, invasive? Netflixing Human Capital Development: Personalized Learning Technology and the Corporatization of K-12 Education (Roberts-Mahoney, Means & Garrison, 2016) poses strong arguments for why we must be cautious and walk before we run with making personalized education in a K-12 setting ubiquitous. Unfortunately, the loosely-defined and widely-interpreted term — personalized learning — makes it difficult to pinpoint its implementation in education (Horn, 2017). Personalized learning is not simply differentiating instruction for students based on their varied abilities, but rather linking instruction to students’ interests and abilities, and adapting activities to help them reach their highest levels of academic achievement. One idea of doing so, that is increasingly being discussed among educational technology companies, technology executives and the US Department of Education, is to utilize adaptive learning systems that use algorithmic data to display student growth and design activities specific to each individual learner (Roberts-Mahoney, Means & Garrison, 2016). However, one cannot help but wonder, at what point are we turning students into robots? Focusing on big data in a massive open online course (MOOC) setting, where there is unlimited student participation, seems more appropriate; yet in a K-12 classroom setting, we must implement less-daunting, actionable tactics to personalize learning for students without relying so heavily on numbers dictating what and how students learn. Furthermore, an overarching system that analyzes student growth across all subject areas seems to fall short of providing students with the most optimal learning experience possible. If teachers are reduced to data-analysts (Roberts-Mahoney, Means & Garrison, 2016), I fear that the focus in the classroom will stray away from caring for students’ well-being and be placed solely on reaching pre-determined objectives. Students are already seemingly overwhelmed as they equate letter grades to achievement and success, along with the paradoxical “fake reality” that social media platforms foster; therefore, what will emphasizing data in education result in? Students need a refreshed perspective on learning, filled with curiosity and creativity, which is why personalization must be simplified. Teachers must do everything in their power to help students foster a love for learning. By providing students with autonomy in choosing what and how they learn through project- and inquiry-based learning activities, engagement improves and an enjoyment in the learning process develops. Teachers should explore Maker Education and the notion that, at the core, we are all creators. Students should have access to an array of materials and educational technologies and use them in a Design-Thinking approach, tasking them with becoming critical, independent-thinkers, and innovators. This is the type of personalized learning that I believe in. It is up to the teacher to fill in the gaps and adapt their curriculum’s objectives to make fires with the sparks of curiosity displayed by students. There is no one-size-fits-all approach to fostering academic achievement with personalized learning. Yes, adaptive learning systems can improve education, but so can a passionate educator with a combination of technological, pedagogical and content knowledge (Koehler, Mishra, Kereluik, Shin & Graham, 2013) paired with the ability to seek out optimal educational technologies or, better yet, create new ones themselves. As educators, it is crucial to begin by having an open-mind and maintaining a classroom filled with eager-to-learn students; what is the best way to do this? Make the experience fun and the learning will commence. Horn, M. (2017). Now trending: Personalized learning. Education Next, 17(4). Koehler, M. J., Mishra, P., Kereluik, K., Shin, T. S., & Graham, C. R. (2013). The technological pedagogical content knowledge framework. Handbook of Research on Educational Communications and Technology, 101.